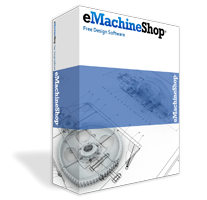 The free eMachineShop CAD software includes a shaft support wizard. Just Download, fill in the dimensions and select a material. Shaft support is a device used to support a ball bearing. Select the bearing block wizard. Enter the diameters and thickness.